I always enjoy getting my first taste of holiday and seasonal releases, and while I’m in no hurry for winter to roll in, I am excited about drinking holiday beers. One of my favorite holiday brews is Jubelale from Deschutes Brewery, and I’m excited to say that it will be the first 2018 holiday ale I’ve sampled so far. In case you’re wondering, the flavor profile for this beer has not changed in 31-years and my enjoyment of Jubelale hasn’t change either….so off we go. Jubelale pours a rich ruby/brown color with loads of caramel and spice in the aromas. The flavors follow with dark fruits, toffee, dry chocolate and some spicy complexity. 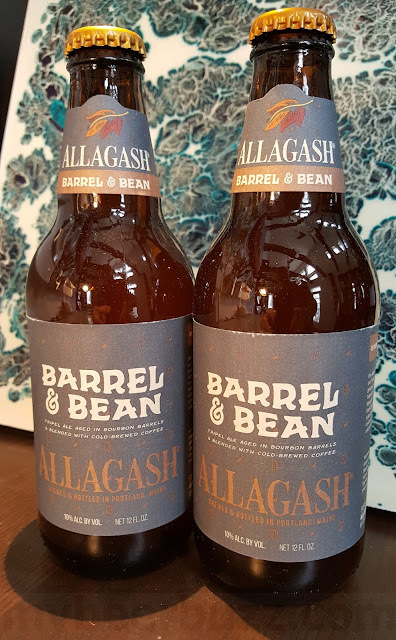 We liked the mix of spices and how it balances out the toffee and caramel flavors and I also liked how the warming spices really make for a nice finish. To say there is a lot going on with this beer is an understatement. As it warms, the depth and complexity really shine and the roasty character pushes forward just a bit. All-in-all I think this is a favorite winter seasonal of mine, and I’m confident it will become one of yours once you try it. As a bonus, Deschutes sent along their Just Tapped Series Baltic Porter. This beer pours a deep almost-black color and I’ll admit I really love the aromas. The presence of roasted chocolate leads the way with just a bit of vanilla, coffee and I swear I found licorice. The flavors and body of this beer make it really satisfying. I really enjoyed the dark chocolate and roasted coffee flavors and how the vanilla and sweet malt flavors balance it all out. The mouthfeel is a bit boozy and the balance and complexity of all of these flavors really make the beer enjoyable and satisfying. At 8%-AbV and 25 IBU the beer tastes a bit hoppier and a bit stronger than I thought, but this Baltic Porter tastes great; and even at 8%-AbV we found it to be drinkable and nicely warming. This label features artwork by Portland Pub artist Ben Woodcock so be sure to check out the packaging as your drinking or pouring. Don’t delay…get out there and sample Deschutes 2018 Jubelale and Just Tapped Series Baltic Porter. These beers are both perfect for the cooler weather, and all you need is a campfire to complete the picture. The beers will be available in 12oz bottles, so when you do try them, be sure to let us know what YOU think.